There are times in our lives, moments, or moments of clarity rather, that give us perspective on our surroundings. When we can detach ourselves from situations that make things feel so personal, we react differently. I brought the girls to see Cinderella this Easter holiday and it had special and equally simple messages that we all could appreciate; being kind and being courageous. 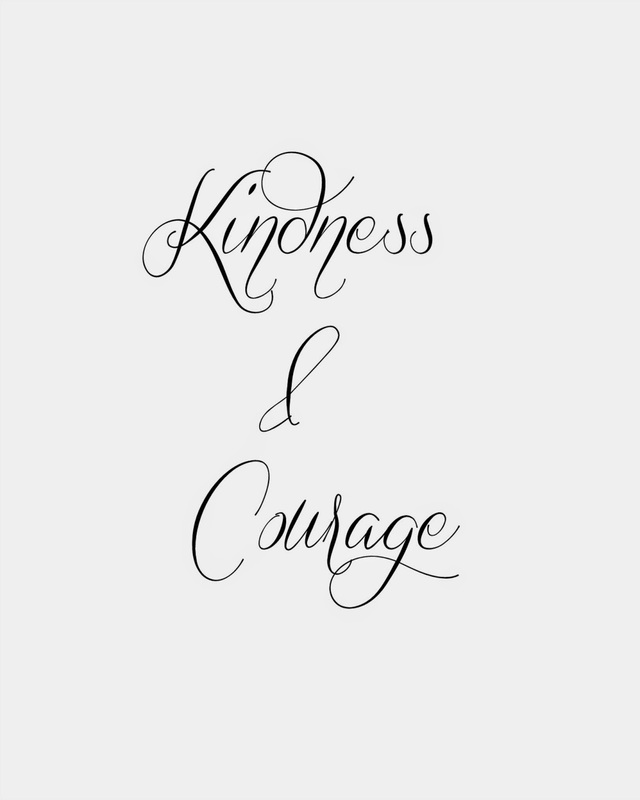 I love kindness, because behind kindness are so many other amazing attributes like patience (there is no way you could be kind without being patient too) and also understanding along with empathy. It inspired me to make a simple typography print. I adore quotes and have a sweet collection of them on my Pinterest page. I read them from time to time to remind me of where I like my brain to be. It is all too easy to get caught up in things that really don't matter and so I enjoy taking a breath and simply being present, and happy. I am printing 3 for my girls, and one for myself. To remind us simply to pause and reflect before reacting. And not to be afraid of trying something new. Trusting ourselves, our instincts. Click on the link and simply download it. Print it from your own personal printer on regular white paper. Or if you want to be fancy and get a professional look print on card stock paper (from Walmart/Michaels).